I loved the history captured in this story. Even though it’s a story, it is rooted in truth. The loss of one’s family ties for generations can cause such a negative effect on life. It talks about connection even in our separation from one another. It was hard to hear some parts of the story because of the lack of my own familial history. But it really caused me to think about leaving information for my own children and grandchildren. I loved the author’s note at the end. He shared his history and how he learned of the bigotry in his own hometown. It seems that now he can see how awful it truly was. Also, I really enjoyed the interview with Miss Willie. Her voice reminded me of being in Mississippi with my parents visiting family as a child. It soothed my soul and brought back memories I haven’t thought of in a long while. I will be recommending this book to my sisters, my children and friends. This book spoke to me on so many levels. Being the mom who can’t get it right, giving up on my dream of being a nurse because I feared I was too old and my fear of failure, medicating myself with food, alcohol and fabric (quilter), limiting self talk, not being a good enough Christian. The list can go on! 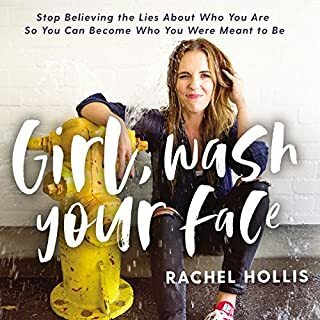 Rachel Hollis touched on everything I needed to hear. Wash My Face? I absolutely did and will continue to do so. My middle daughter (28) even loved listening to it with me and found out things about herself, too. I would recommend this book to every woman I know and have met! Thank you, Rachel, for shining a light on all the dark spaces and reminding us that we all deal with the same kind of stuff no matter what face we show to the world. Fantastic read! I needed this! 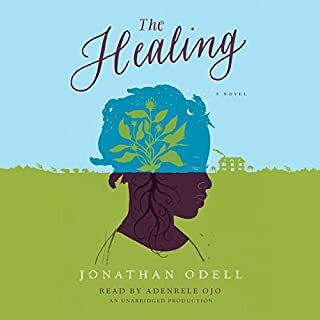 This book was recommended to me by a friend. I am very much a productivity driven person. I’m a veteran who’s been married to a veteran for 24 years, with three adult children, and two grandchildren. 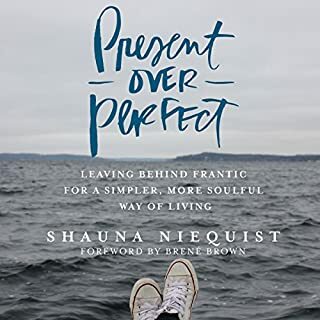 From the moment I started listening to this book, I could see myself in every detail of what Shauna was saying. The responsible and dependable employee, the perfect housekeeper and hostess, the mom who worked so hard and often that I neglected my home needs and myself. I was constantly driven and focused to the point of exhaustion and tears. The brakes slammed on when my daughter’s fiancé died suddenly at the end of 2017. We are a spiritual family and so was he. He was very young and his death made me start to reevaluate my entire life of wasted time and lost moments. But my supermom instincts kicked in and I was there for my daughter and grandkids, leaving my husband and two other children across the country. I stayed for three months until exhaustion drove me home for a rest. Then I was back a month later, bringing the grandkids back with me for six weeks. I was still exhausted and was told I was in delayed grief. But I couldn’t stop until my body forced me to. That was when my friend recommended this book to me. It has been like having a spotlight on my life! It has shown me that it’s okay to say no and to stop being/doing for everyone. It showed me that I have to slow down and enjoy the time I have with my family, to let the house be messy and to not commit to every obligation. It let me know that it’s okay to not have my mask of “I’m fine” on 24/7. It’s okay to be just me as God commanded me to be. Thank you, Shauna, for baring your experience to the rest of us so that we know we’re not alone.